Baby North West was featured in the April 2014 issue of Vouge photographed by the famed Annie Leibovitz. 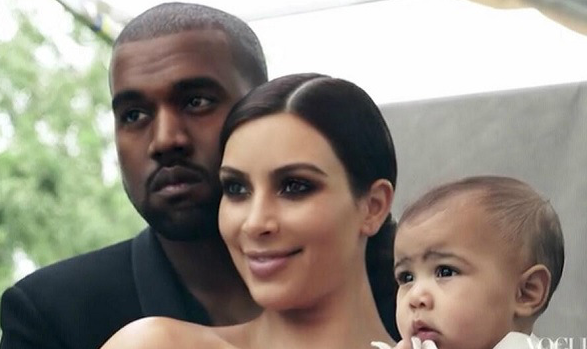 Her parents, rapper Kanye West and socialite Kim Kardashian grace the cover. Some of the family photos were taken on their private jet and dressed in wedding attire! Image | This entry was posted in Celebrity and tagged Annie Leibovitz, celebrity, Kanye West, Kim Kardashian, North West, Vouge. Bookmark the permalink.